Congratulations, you’ve got a phone interview! So how prepared are you? 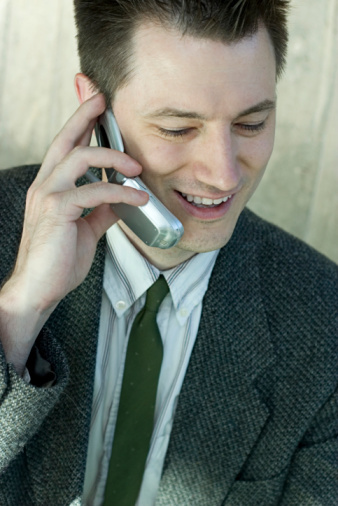 For some, the phone interview is the easiest part of the job search process. No one sees you looking at your notes, you don’t have to worry about making eye contact, and you can be at relative ease in a room or at least a chair of your choice. For others, it’s still as much of a nightmare as a face-to-face interview, and you’re full of worries about everything from how you’ll sound to saying too much in response to a question—or saying too little. Consider these tips to help ease your way through to the next stage of the interview process. If you haven’t already checked yourself out online, Google your name before you get on the phone. Yes, the interviewer may already be a step ahead of you, but knowing what’s out there about you is essential, especially if an awkward question comes up. Be prepared to explain things, remove anything that can compromise or embarrass you, and double-check those Facebook privacy settings. 2. Take the call in a room without a lot of noise or distraction. 3. Have all your documents in front of you or pulled up on your computer. These documents include: Your resume, the job description, your salary range, and notes about the company. It’s best to have most if not all of your facts in your head, but a tiny bit of paper-rustling or keyboard-clicking is still better than being caught in a brain-freeze. 4. Brush up on your elevator speech. This is a 30-second spiel about someone you know best: You! It doesn’t matter if you’re employed or not. Your elevator speech is much more about your knowledge, skills, and passion than a job title. It’s about who you are, what you do, and how you make a difference. Have your speech handy even if you’ve already talked with the interviewer, as it may come up again. 5. Determine your salary range and when to reveal it. First, make sure you are comfortable with accepting the lowest figure of your range before you state what it is. Remember to say you’re open to negotiation, that you like to look at the whole package with benefits and stock options, and so forth. It helps if this is actually true. Next, if your interview is with the recruiter and she asks for your range, first try shooting the question back by asking what the position is paying. If she persists, go ahead and reveal your range. My reasoning is the recruiter knows what their client absolutely will and will not accept, and there’s no sense in wasting time on both sides. Cooperating now could keep you fresh in the recruiter’s mind for other positions, too. Feel free to argue with me on this. If the interview is with the hiring manager, hold on to your salary range as long as you can. This is your bargaining chip, and you don’t want to be screened out too soon. Have at least two, preferably three questions about the position and company. If you don’t already know, ask why the position is open. Ask about the corporate culture, what the manager’s expectations are, how the team operates, even what the dress code is. Environment can play a key role in job satisfaction, so don’t neglect those “fluffy” questions. Stand up and smile if you have to, but smile while you’re talking. Recruiters and hiring managers love talking to people who are warm, friendly, and engaging. They get a lot of duds–don’t be one. Remember, they came looking for YOU. They have to sell this job to you as much as you need to sell yourself to them. Try to relax, try to enjoy yourself, and no matter what happens, you’ll have learned something from the process. Good luck!